According to Consumer Reports, 17-25% of product is wasted per bottle. 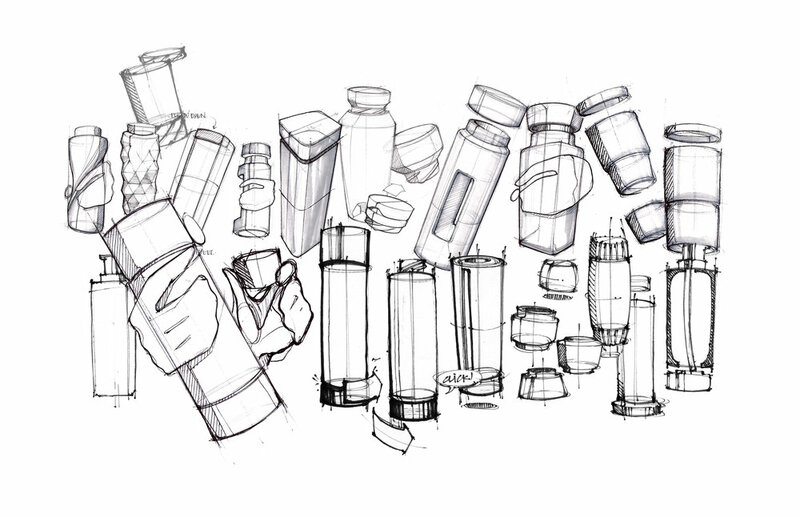 The Fulfill lotion bottle is a simple design solution that reduces waste and inefficiency by better using what we already have. My early, Chapstick-inspired concepts brought the content upward. But after exploration and prototyping, I chose a direction that simplifies the process and design while adding value: a removable jar base that requires no moving parts, adds minimal material, and transitions into a new usage model. Imagine getting what you paid for. The division is based on the average amount of material that remains, and is a convenient size for traveling, while the color break drives the Fulfill brand language. When the pump stops drawing lotion, the bottom is unscrewed and utilized with the cap while the midsection is recycled.